Guides can confirm that the Burj Khalifa fireworks display, which has become one of the most watched spectacles on the planet, will begin at the stroke of midnight on December 31, 2016 and have a theme of celebrating national pride, serving as symbolic bridge between the present and future of Dubai. The highlight of this year’s NYE fireworks is that the sequence will recreate the design of the logo of Expo 2020. This logo was inspired by the 4,000-year-old ring discovered by His Highness Shaikh Mohammed bin Rashid Al Maktoum, UAE Vice President & Prime Minister and Ruler of Dubai, at the Sarouq Al Hadeed site. 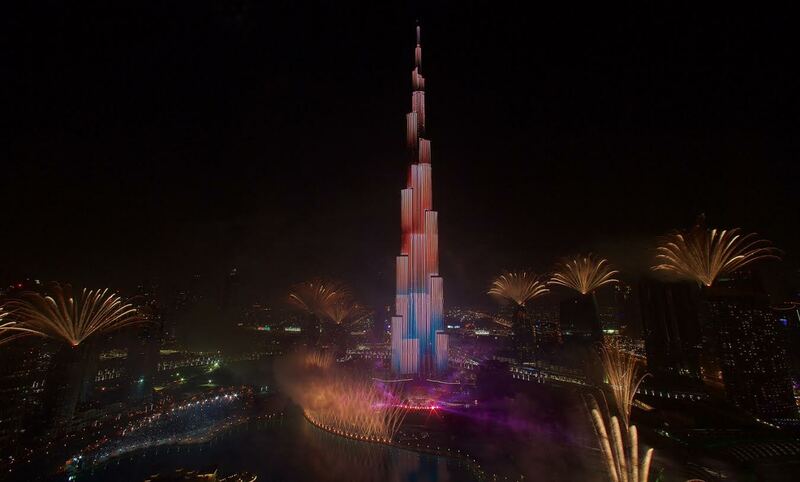 Burj Khalifa, Dubai’s global icon, will be engulfed in colourful and bright strokes of fireworks with the finale being a display in pyrotechnics. The pyrotechnics will be displayed from Burj Khalifa, Dubai Opera and various other buildings in Downtown Dubai using latest technology. The music for the fireworks is inspired by Middle Eastern melodies, with a series of compelling crescendos that match the scale of the fireworks. o be broadcast live, the entire sequence of the fireworks, all the way up to Dubai Creek Harbour, can be watched on big screens in Downtown Dubai as well as online at www.mydubainewyear.com.